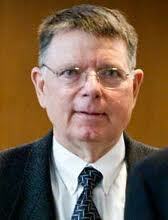 This day four years ago Dr. George Tiller was murdered. He was murdered by an anti-abortion protester on May 31, 2009. He was murdered while ushering at church services on a Sunday morning. *The photo of Dr. Tiller is included in a statement from Merle Hoffman, On The Issues Magazine, Spring 2009 edition. Please take a minute to read it. If you are interested in reading more about Dr. Tiller’s story, I highly recommend ”The Wichita Divide: The Murder of Dr. George Tiller and the Battle over Abortion” by Stephen Singular, published by St. Martin’s Press, First Edition edition (April 12, 2011) It is available for purchase at bookstores and Amazon.com. This entry was posted in abortion, Anti-Choice protesters, christianity, George Tiller, pro-access, reproductive rights and tagged abortion, Access, anti-abortion, clinic violence, Dr. Tiller Murdered, pro-access, protester by Servalbear. Bookmark the permalink. I remember exactly where, what and when this horrible news punched me in the forehead and rattled our world. I had the privilege of meeting some of Dr. Tiller’s staff in Bellevue a few weeks after this horrible event. There wasn’t then, nor is there now, anything to say to ease what happened. We can only carry forward with the work to make reproductive justice reality, to construct a less stigmatized world where individuals decide when, if, how, and how often, they will parent. We mustn’t waver in our efforts or convictions. No violence,or threat of violence, will keep us from striving for equality and justice for everyone in our community. When in doubt, default to love.